Considering that it is of the utmost interest to know and properly value the best extra virgin olive oils so that, on the one hand, their image is promoted and, on the other hand, their distribution, marketing and consumption are encouraged. And, considering that the organisation of an International Competition for the Quality of Extra Virgin Olive Oils, within the framework of the XIX Montoro Olive Fair, will favour the achievement of the aforementioned objectives, which is in line with the above, Likewise, among the aims of the Consorcio Feria del Olivo de Montoro, organizer of the same, has decided to call the X International Competition of Quality of Extra Virgin Olive Oils Pedro Leon Mellado according to the following. I.1.- Participants – Producers from any country may participate in this Contest. A producer is any natural and/or legal person who is the owner of an approved mill. I.2.- Minimum lot – The samples must come from a homogeneous production lot of at least 3,000 kilos. I.3.- Participation – Each owner of a production mill may submit samples of a single batch at most. In the event that the contestant presents samples of more than one oil, only the last one taken will be accepted as stated in the Notarial Deed. I.4.- Oils admitted to the competition – Only bulk Extra Virgin Olive Oils produced in 2017/2018 will be admitted to the competition if they comply with the legislation in force. These oils must meet the requirements for extra virgin olive oils laid down in Commission Regulation (EU) No 1348/2013 of 16 December 2013 and subsequent amendments. I.5.- Collection and dispatch of samples. Samples shall be collected by the owner of the oil mill before a Notary Public, who shall draw up the corresponding report, which shall include: the details of the competitor, oil mill or warehouse where the oil is stored, identification of the deposit or trujal from which the sample is extracted and the quantity of extra virgin olive oil it contains as well as the date and time the sample was taken. A sample shall be taken from the storage unit containing the homogeneous lot and distributed in four non-transparent glass jars of 500 ml each and, when filled, shall be hermetically sealed with an inviolable stopper. I.5.2.- Each bottle accompanied by a label (non-adhesive) containing the identification data of the contestant, shall be placed in a sleeve that shall be sealed and sealed by the Notary. In the case of samples belonging to the D.O. Montoro-Adamuz, the corresponding certification of the Regulatory Council of the same will also be included. 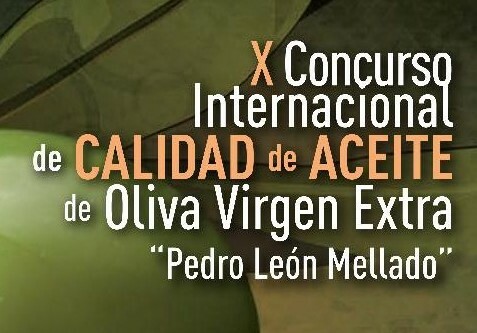 “X INTERNATIONAL COMPETITION FOR THE QUALITY OF EXTRA VIRGIN OLIVE OIL PEDRO LEÓN MELLADO”. I.5.4.- The expenses arising from the actions described in the previous sections shall be borne by the entrant. I.6.- Deadline for submission – The deadline for admission to the competition will be 16 April at 3 pm. Those received after this deadline will not be admitted to the competition. For the awarding of the prizes, a Jury will be formed, at the proposal of and presided over by the President of the Montoro Olive Fair Consortium, or a person to whom it delegates, and made up of tasters of recognised prestige. The director of AEMO (Spanish Association of Olive Tree Municipalities) will act as Secretary. 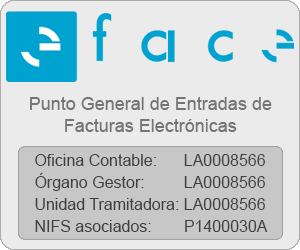 III.1.- Sample Codification – The samples received will be delivered to a Notary Public, who will open the packages, identify the samples and assign a secret code and once the corresponding Minutes have been issued, will send them to the Olive Growing Complex of the Olive Growing Community Heritage Foundation. III.2.- Physical-chemical quality control – Samples which do not meet the conditions laid down for extra virgin olive oils in Regulation (EEC) No 2568/91 and the implementing rules will be declared out of competition. III.3.- Tasting panel: Samples that pass the physical-chemical control will be submitted to the sensory evaluation by the expert tasters, directed by the Head of the Panel, in the Tasting Room of the Olive Oil Complex of the Fundacion Patrimonio Comunal Olivarero. III.4.- Classification of Oils. It will classify the oils in each of the following groups, according to the value of the intensity of the median and the type of fruitiness. GREEN FRUIT: All the olfactory sensations characteristic of the oil that remind us of green fruits, depending on the variety of olives, coming from fr.